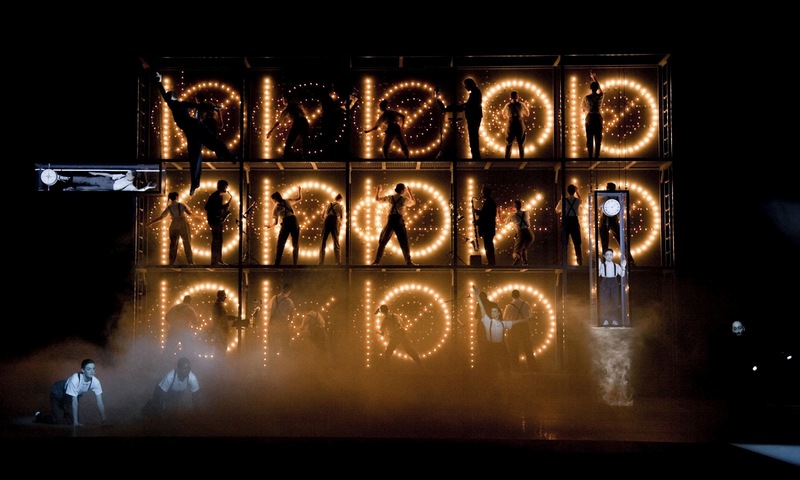 The sixth edition of Luminato, Toronto Festival of Arts and Creativity beings today with a number of exciting events including Einstein on the Beach by Philip Glass and La Belle et la Bête: A Contemporary Retelling. The festival is encompasses a wide spectrum of artistic disciplines and activities including music, theatre, visual arts, literature, film, magic, food and dance. One of the highlight's of the festival will be a marathon performance by Stewart Goodyear of all 32 of the Beethoven piano sonatas in an 11-hour period. There will also be free concerts every day at David Pecaut Square, starting on Friday, June 9 with K'naan and Kae Sun. Other free shows will include Rufus Wainwright, Loreena McKennitt, Calypso Rose, Fatoumata Diawara, Dan Mangan and Kevin Fox. The closing concert at David Pecaut Square will be the Toronto Symphony Orchestra performing works including a new piece by Philip Glass and Tchaikowsky's 1812 Overture for the 200th Anniversary of that war. Absolute Wilson, filmmaker Katharina Otto-Bernstein’s 2006 examination of Robert Wilson’s creative genius and the transformative power of creativity as revealed in his work. Flaming Creatures, director Jack Smith’s controversial film, was famously seized by police at its 1963 premiere and determined obscene by the New York Criminal Court. Smith and his outré work influenced a spectrum of artists, including Andy Warhol and Robert Wilson, and, as an actor, Smith later appeared in several Wilson productions. Video Portraits, Robert Wilson’s 2007 collection of provocative high-def video portraits, including segments featuring Johnny Depp, Robert Downey Jr., Isabella Rossellini, Willem Dafoe and Brad Pitt. Glass: A Portrait in Twelve Parts, Oscar-winning director Scott Hicks’ 12-part examination of a year in the life of Philip Glass, including interviews with Martin Scorsese, Woody Allen and Ravi Shankar. Koyaanisqatsi, from 1992, director Godfrey Reggio’s environmentally themed collection of photographed scenes, shaping a visual concert set to Philip Glass’ music. The War Symphonies: Shostakovich, Toronto filmmaker Larry Weinstein’s visual exploration of Shostakovich’s 4th to 9th symphonies, an ideal complement to the Toronto Symphony Orchestra’s presentation of the Symphony No. 11 the previous evening. 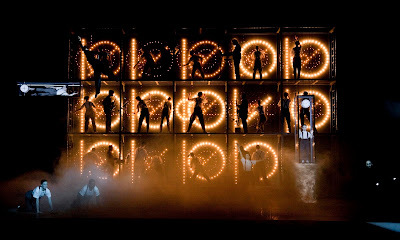 Einstein on the Beach: The Changing Image of Opera, from 1985, director Mark Obenhaus’ richly detailed examination of the making of Robert Wilson and Philip Glass’ landmark work.Le Confessional, director Robert Lepage’s 1995 cross-generational drama, set in Quebec City of the 1950s and 1980s. La Belle et la Bête, Jean Cocteau’s 1946 masterpiece, costarring Josette Day and Jean Marais in the title roles, chosen to complement Luminato’s world premiere of the English-language version of Lemieux Pilon 4D Art’s magical La Belle et la Bête: A Contemporary Retelling. Tectonic Plates, director Peter Mettler’s 1992 adaptation of Robert Lepage’s play, co-scripted by Lepage and Mettler. The Image Mill Revealed, Mariano Franco and Marie Belzil’s chronicle of the final three months leading up to the opening of Robert Lepage’s impressionistic panorama Moulin à images in celebration of Quebec City’s 400th anniversary. Out of Focus, filmmaker Tony Heymann’s 2007 behind-the-scenes portrait of Ohad Naharin, artistic director of Israel’s Batsheva Dance Company, whose Sadeh21 makes its North American premiere at Luminato. Mishima: A Life In Four Chapters, director Paul Schrader’s 1985 semi-fictionalized portrait of Japanese author Yukio Mishima, featuring a score by Philip Glass. Additionally, a new, unnamed documentary, celebrating the life and work of Kate McGarrigle will premiere during the TIFF series. All films will be screened at TIFF Bell Lightbox, Reitman Square, 350 King Street West. ALL PRESENTATIONS AT DAVID PECAUT SQUARE ARE FREE!